Discover the natural wonders of Ketchikan as you paddle along Ketchikan Creek and the Tongass Narrows on this fun kayaking tour. 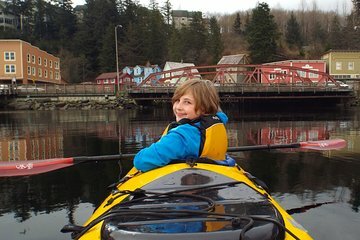 Hop aboard a sea kayak and set out to explore the scenic waterways, islands, and fishing villages along Ketchikan Creek. Along the way, enjoy views of Pennock and Gravina Islands, and look out for wildlife including bald eagles, seals, and sea lions.